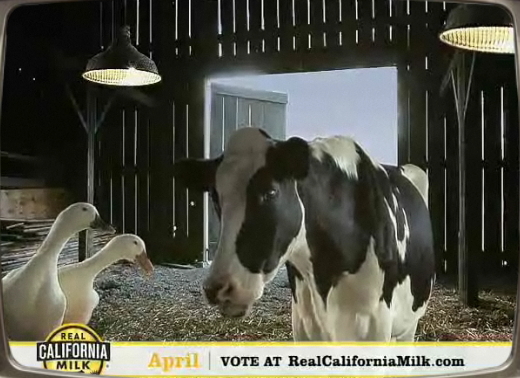 The California Milk Advisory Board continues its Happy Cow casting call with an entry from April, a down-home Southern diva. She sings country, has an entourage of ganders and makes the Cali cows all catty. Click on the April videotape to watch her audition. In the event that Simpering Belle just isn't your accent of choice, check out last month's entry from Soo (she's got Soeul! ).